The preparation for retirement is a lengthy process, but the starting of every New Year serves as a convenience for investors to manage their plan and adjust them to achieve their financial goals. Either or not your retirement year is coming in 2018 or 2060, the beginning moth of the year serves as the opportunity to meet with your financial advisor and plan the financial investment or goals for the coming year and how you can get more in the forthcoming year. Below are the few points to each and every investor should consider for safe and secure financial life and need to discuss the plan for the upcoming year. Make sure you audit your financial plans from last year and adjust goals and objectives according to the mood of the market for 2018. While you are creating new target and goals, make sure you define your one or two broad goals first like a retirement plan, paying education fees for the child. From this point, you should remember not to define or create more than five to six specific goals for each and every objective. Look back, all these goals need to be very specific, feasible and determinable. For sure, many of the people keep retirement at priority one. Retirement is a goal which meets the objective only by your contribution to the PPF and pension plan. First and foremost confirm the amount you are contributing to these accounts. Many of the investors fail to maintain annual contribution to these plans after their introductory enlistment. Suppose you are saving at your max capacity than try to raise the amount you are saving in current time. Face the challenge to save the more money which is acquirable. One thing always remembers that saving a small amount on a monthly basis is easy than trying to save a large amount at the end of the year. In addition to purchasing stocks is more feasible because when the price is low you can buy more and sell it when the price is higher. 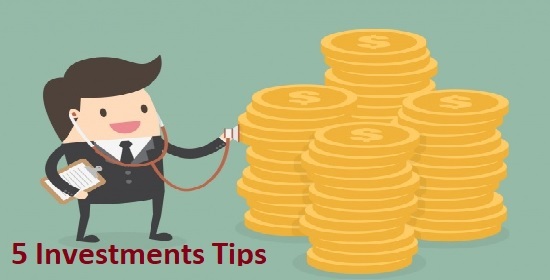 Basically, you are able to control your money, you can adjust your saving plan and increase the contribution. Make sure you pay retirement contribution on a regular basis for better future. Many more things depend on your tax planning in the New Year. You can start your tax planning as soon as possible by organizing your financial records. The process of organizing your financial records may seem to be boring but it will help you in filling return much easier and faster. Many of us lose important deductions due to they forget or misplaced the auxiliary documents. The solution to this problem could be you can create a file or folder which include two broad categories namely income and deduction. After creating a category you can create subcategory like investing statements, canceled the check and bank statements in broad income category, and medical or health expenses, child care and contribution to charity in the broad deduction category. If you want to make the plan with more complexity start using online services or free tool or a simple spreadsheet could be beneficial. Make sure you keep all your supporting document organized even if using online services in order to tax audit. You may like to Read: How to Manage Your Money the Beginner’s Guide? Many of the people wait for charitable donation until end of the year. In the current year try to give donation early. By giving charity early you make the charity time its cash flow, also you can more confident how you spend. Impose build a donor-advised fund to transfer perfect stock. You might be given a deduction at the time of transfer. Either you may transfer the fund or make a grant to the favorite charitable from the fund. By creating the fund at the beginning of the New Year, you may have the resilience to create allowance to the fund over the year and you can adjust your investment goals and sell stocks with long-term capital benefits. Now, this is the time you should review your investment plan and beneficiary account in which you are going to contribute your money. Keep in mind all these accounts should be named as beneficiary not will and wish. You should take some time to review your mistakes and errors which you have committed in the year 2017 and also audit your financial goals from 2017. It is very important to celebrate if you achieve your financial goals and if not look the reasons why you have not achieve the goal in the year 2017. Try not to repeat the mistakes and blunders in 2018.